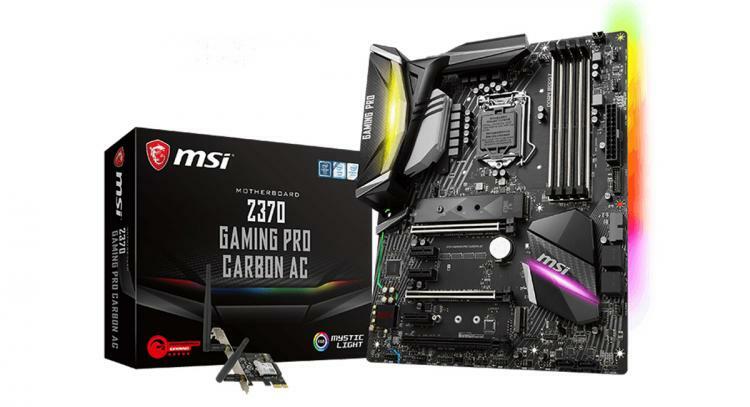 With the Intel Z370 chipset coming to support the new Coffee Lake processors offering up to a 6-core, 12-thread CPU, MSI now introduces its line-up of new motherboards under its three GAMING segments - Enthusiast GAMING, Performance GAMING and Arsenal GAMING Z370 motherboards. 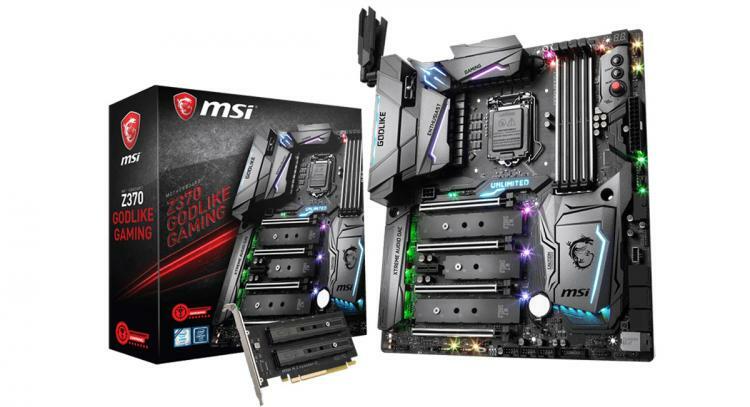 MSI also releases value-oriented PRO Series models. MSI’s flagship Z370 model featuring an 18-phase DrMOS PWM design for the best performance and stability capable of handling extreme overclocking sessions. It also features MSI’s best aesthetic designs, premium features, and Military Class V components. For networking and connectivity, the Z370 GODLIKE GAMING sports 3x Killer E2500 LAN connectors and a Killer 1535 Wi-Fi AC adapter. The motherboard also sports dual dedicated ALC1220 Hi-Fi audio processors, ESS AUDIO DAC with dedicated ESS Amplifier. Z370 GAMING PRO CARBON AC once again comes with a unique and powerful design using CARBON elements and offers unlimited customization options by using MSI Mystic Light. Besides being designed for personalization and to show off a gaming rig, the new Z370 GAMING PRO CARBON AC also comes with plenty of features, tailored to give gamers the best possible gaming experience. The Z370 TOMAHAWK offers a perfect balance of features and looks. Now coming with RGB LED in several parts of the motherboard, the new Z370 TOMAHAWK enables customizing of your gaming rig for a great display. The Z370 TOMAHAWK is its excellent stability and reliability by using high-quality Military Class components that come along with its Military-themed design. 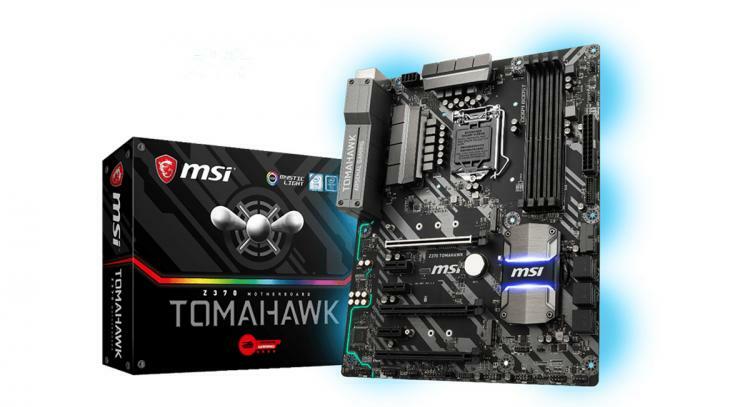 Visit the MSI website to check out the entire lineup of Z370 motherboards.